Dun Laoghaire Harbour Company (DLHC) has today confirmed that a Stena seasonal service from Dun Laoghaire to Holyhead will not be resuming. According to Gerry Dunne, CEO of Dun Laoghaire Harbour Company: “While it is disappointing that a service will not be resuming for this forthcoming summer season, the Harbour Company is now seeking alternative providers to operate a seasonal service on the route. The Prior Information Notice is available here. The importance of the passenger service business to Dun Laoghaire has declined in the past decade, and in particular over the past five years, where the service has been reduced to a seasonal operation. By 2014, passenger numbers had declined to 141,652 compared with 1,719,853 passengers in 1998. Up until recent days, DLHC and Stena have engaged in active discussions on the delivery of a seasonal service. However, Dun Laoghaire Harbour Company understands that Stena was unable to secure a suitable vessel and have now decided not to resume operations on this route. The Harbour Company has enjoyed a positive working relationship with Stena. In the event that Stena identifies a suitable vessel to meet passenger needs on the route, the Harbour Company would be receptive to any future approach from Stena. Despite today’s announcement by Stena, job losses in DLHC are not envisaged in the harbour, due to the emergence of new commercial activities including the growing cruise business and the proposed Urban Beach. 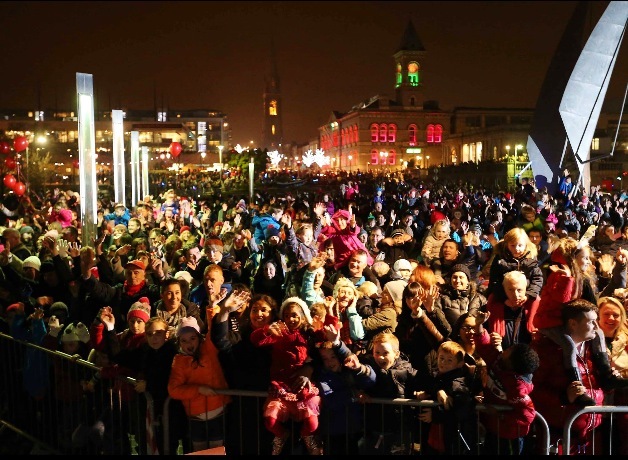 It is estimated that Dun Laoghaire will attract 100, 000 cruise passengers and crew in 2015, with similar numbers expected for 2016 and 2017. A planning application under the Strategic Infrastructure Development Act for a new cruise berth for ‘next generation’ cruise ships will be submitted in the coming weeks to An Bord Pleanála. The growing cruise business will have significant economic spin-off value for Dun Laoghaire and the wider hinterland. It is estimated that the spend of ferry passengers in the greater Dun Laoghaire area was approximately €800k in 2014. By contrast, it is expected that cruise passengers arriving into Dun Laoghaire this year will spend approximately €7m. This will more than make up for any loss of revenue to the local businesses from ferry passengers. Meanwhile, the important development projects in our Masterplan continue to be progressed. A detailed proposal has been submitted to the Government in respect of the International Diaspora Centre, and a decision is awaited. This world-class visitor attraction can now be accommodated in the Ferry Terminal building, providing a great opportunity to create a new, immediate, and cost-effective use of this 80,000 sq. ft. building. Gerry Dunne commented: “It makes enormous commercial sense to locate the International Diaspora Centre in the Ferry Terminal Building. Due to Stena’s decision, this building is available immediately”. Planning permission for our Urban Beach has been granted by the Dun Laoghaire Rathdown County Council, and is now subject to appeal to An Bord Pleanala. In the meantime, initial planning for the Residential Development on St Michael’s Pier is underway. The Harbour Company is determined to have these projects up and running at the earliest possible time. The National Ports Policy, published in 2013 by the Department of Transport, Tourism and Sport in 2013 said that the long term future of the harbour would be ‘in terms of marine leisure, maritime tourism, cultural amenity and urban redevelopment’. In light of the Stena decision, Dun Laoghaire Harbour Company looks forward to redoubling our efforts with our stakeholders – the local business community, the Minister for Transport and Tourism, and the local County Council – to ensure that the potential of our world-class harbour is fully reached as set out in our Masterplan. CONTACT: Catherine Heaney / Emily Brennan, DHR Communications @ 087-2309835 / 086-1658629 / 01-4200580. A spectacular welcome greeted the arrival of the world’s largest ocean liner when she berthed in Dún Laoghaire this morning (Thursday 16th May 2013). A five star welcome saw 3,000 passengers greeted by a piper and Irish dancers, tour guides, free wireless and business offers after docking at the Old Coal Harbour. The RMS Queen Mary II is the first of a flotilla of 14 floating visitors to dock in Dún Laoghaire this year, bringing over 30,000 cruise passengers, and generating an income of €3 million for the area. This compares with just 200 passengers arriving in the harbour in 2012. The QM2 -the longest, tallest, widest and most expensive liner ever built – departed Greenock in Scotland for Dún Laoghaire on Wednesday evening and will continue her voyage this evening to Holyhead and Liverpool, followed by Invergordon, Stavanger in Norway and then Hamburg in Germany. Over 35 nationalities from every continent in the world (including 6 from Ireland!) were represented among the passengers, with the majority coming from Germany (1,400) followed by the UK (760) and the US (200). A ‘mini cruise-festival’ this afternoon (Thursday 16th May) will celebrate the Queen Mary 2 arrival with family entertainment, boat trips circling the ship, face painting, a complimentary vintage bus, live music and dancing and special offers throughout the town. The initiative is supported by Dún Laoghaire Harbour Company, Dún Laoghaire Rathdown Co. Council and the Dún Laoghaire Business Association. Today (Thursday, May 16th) marks a significant milestone in the development of Dún Laoghaire Harbour as a location for visits by cruise ships, with the arrival this morning of the Queen Mary II, flagship vessel of the famous Cunard line. Around 3,000 passengers and 1,000 crew were on the vessel that arrived at 7.00am and will remain moored off the harbour until around 6.00pm this evening. Six further cruise vessels are expected to visit Dún Laoghaire Harbour over the next two months with a total of 14 expected over the full season. “The visit of the Queen Mary II shows the potential of this sector of tourism to deliver significant economic benefit to DúnLaoghaire, the Greater Dublin area and the country in general”. Major preparations are underway in Dún Laoghaire as the town gears up for a mini-cruise festival to celebrate this Thursday’s gala arrival of the largest ocean liner in the world – the RMS Queen Mary II. The spectacular cruise ship carrying 3,000 passengers and 1,200 crew will berth in Dún Laoghaire for the first time ever at 7am this Thursday (16th May 2013). A five star welcome will see passengers greeted by a piper and Irish dancers as they embark at the old coal harbour from 7am. The Dún Laoghaire Cruise Stakeholders’ Group has also installed an advanced wireless facility in Dún Laoghaire so passengers, residents and visitors to the town can enjoy extensive free internet access throughout Dún Laoghaire extending as far as the cruise ship itself during their stay. A ‘mini cruise-festival’ for both cruise and domestic visitors on the day will include family entertainment, boat trips circling the Queen Mary, face painting, a complimentary vintage bus and live music and dancing and special offers throughout the town. A new IPhone app for visitors to Dún Laoghaire will launch this Thursday morning (16th May 2013) in time the arrival of over 4,000 cruise passengers at 7am. The ‘CityShopper’ app will offer discounts on tourist attractions, special offers in bars and restaurants and retail deals to visitors to Dún Laoghaire from this week. Up to six cruise vessels are expected to use the facilities at Dún Laoghaire from May – July this year, bringing potentially up to 15,000 passengers and crew ashore. The highlight of the season is likely to be the visit on Thursday, 16th May of the Queen Mary II – the flagship vessel of the famous Cunard Line – with 3,000 passengers and several hundred crew members aboard. One of the objectives of the Dún Laoghaire Harbour Master Plan, published in 2011, was to enhance Dún Laoghaire’s attractiveness as a gateway for tourists to Ireland by offering state-of- the-art berthing and terminal facilities to ferry and cruise operators. 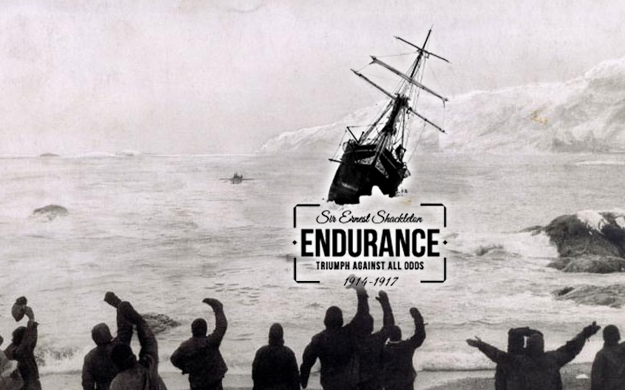 Relive the true life story of Irish-born explorer Sir Ernest Shackleton’s Imperial Trans-Antarctic expedition of 1914-1917 at the Shackleton Endurance Exhibition in Dún Laoghaire. On display are over 150 photographs taken by the Expedition photographer Frank Hurley, a full size exact replica of the James Caird; the lifeboat that proved so critical to the rescue, and much more. The exhibition is open daily from 11am – 5pm and is based in The Ferry Terminal Building until November 2014. For more information, please visit http://www.shackletonexhibition.com/.